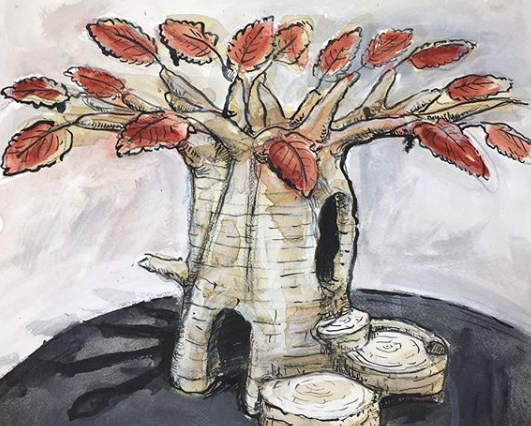 This blog is written by our students. 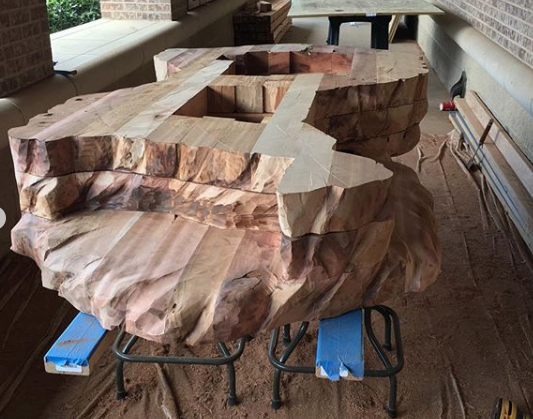 We think they are top notch! Here they share the ESD Experience in their own words. MyESD - Seniors share some of their favorite learning experiences. 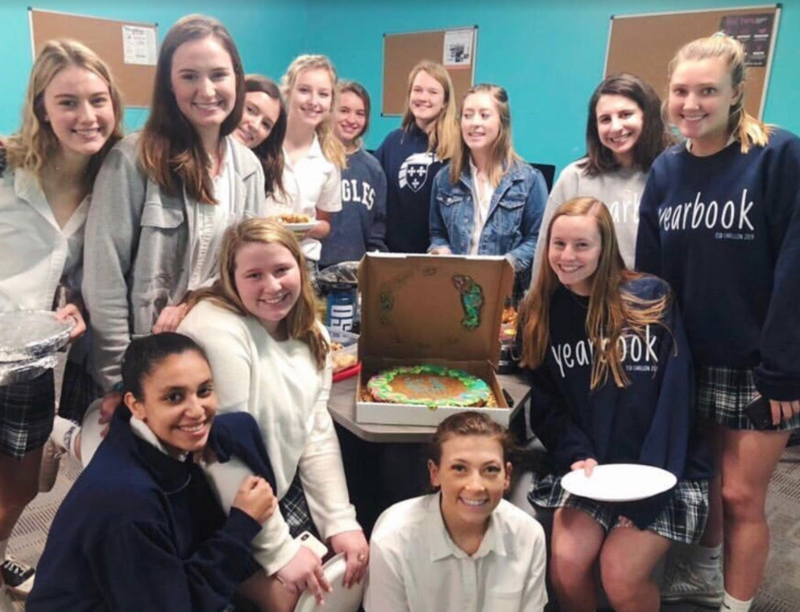 Today, Yearbook class had our end of the year party! We celebrated finishing our yearbook, "Building Up", by watching a movie and bringing many treats to eat during class. We all had so much fun. 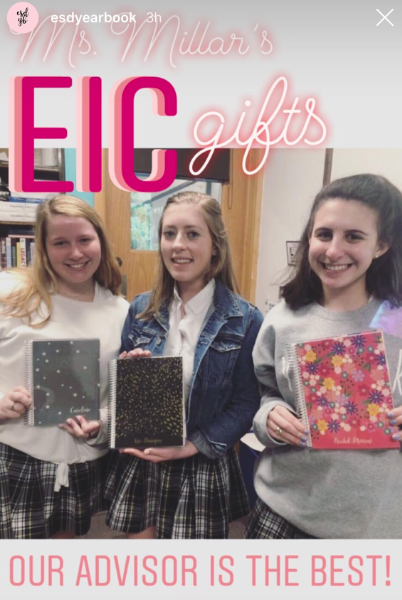 We also celebrated our three amazing Editors-in-chief and two seniors on all of their hard work throughout the year. We are sad this yearbook is done, but we are so excited to start working on next year's book! 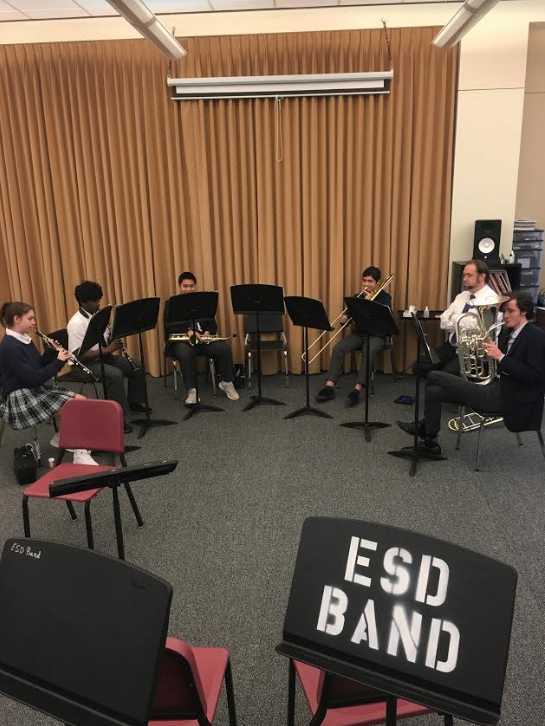 Here are some of our Upper School Band members putting on the finishing touches as they prepare for the final concert of the year! Stay tuned (pun intended) for the exact time and date of the spring concert. 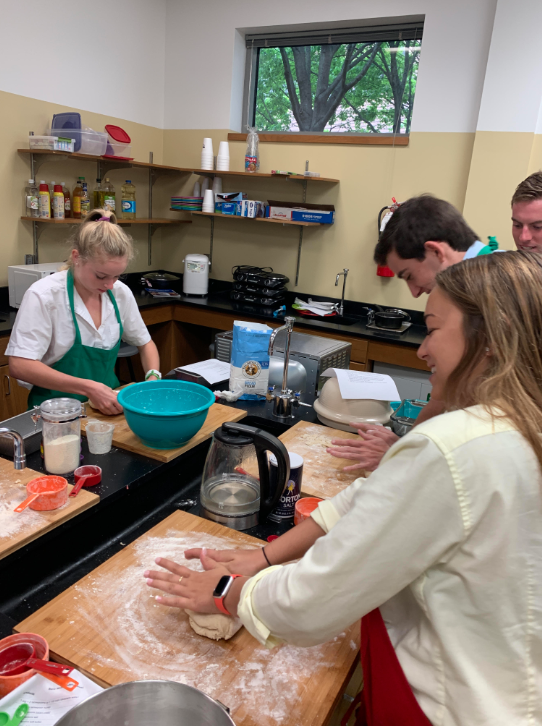 Today, Upper School Food Science students learned how to make bread! The Food Science class gives students the opportunity to learn about the composition of different foods in a fun, interactive environment. 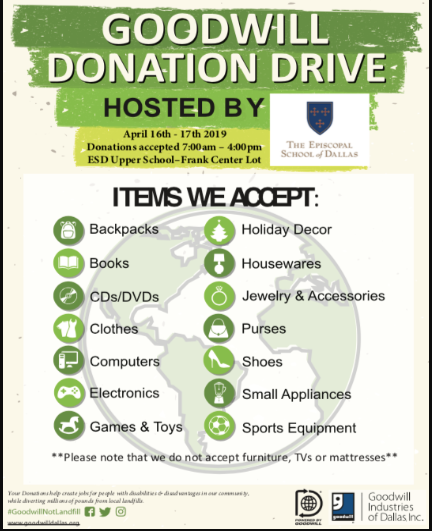 The Upper School hosted a Goodwill Donation Drive today and collected donations that will directly impact Goodwill! This amazing organization has a mission of helping Americans reach their fullest potential by guiding them with their education and career paths. 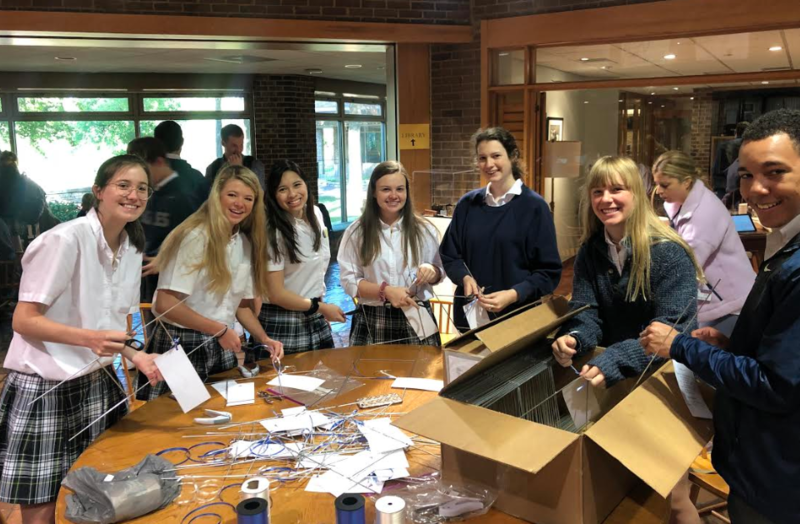 ESD does such great things to raise awareness about and inspire service projects for our community, both within and outside of the school! 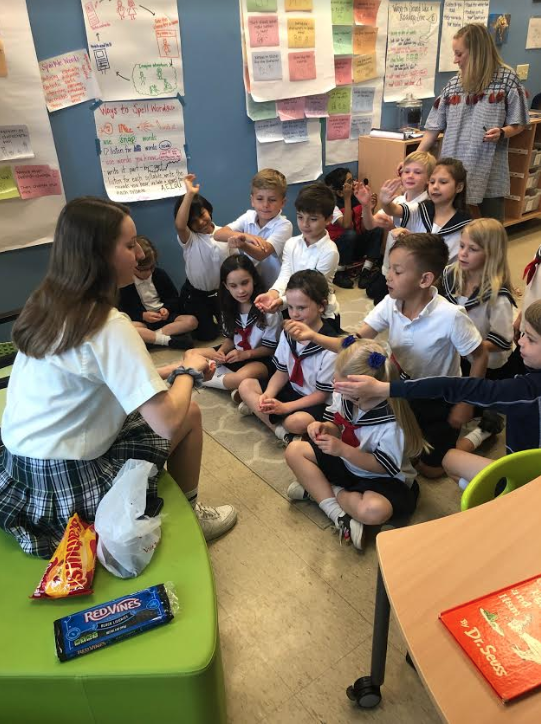 Senior Economics students took a field trip to the Lower School to teach the kids about basic economic concepts through children’s books. It was so fun and of course candy was involved! 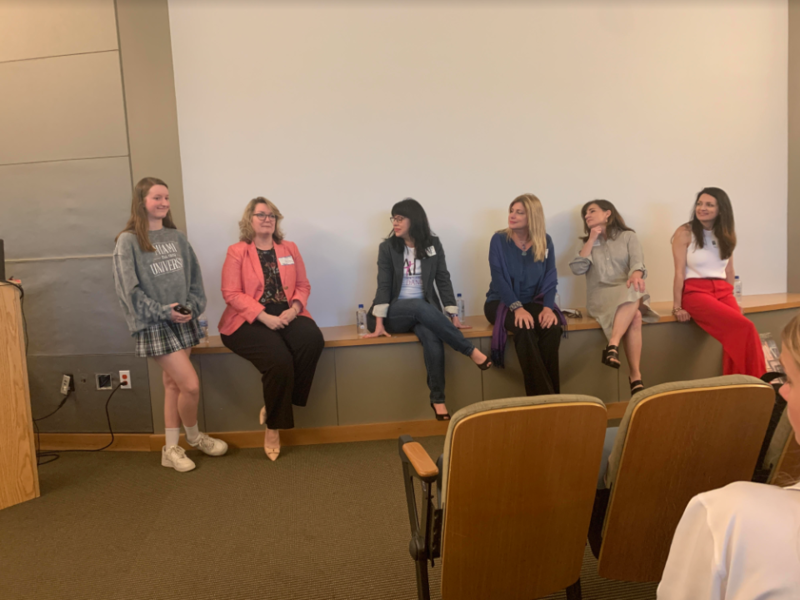 Yesterday, Upper School students had the privilege of hearing from 5 female entrepreneurs. These inspiring women shared their successes, hardships, and stories of becoming successful business owners. The students had the opportunity to ask these entrepreneurs many different questions, leaving each individual motivated and saturated with their wisdom. I have had the pleasure of being taught by Mrs. Henderson in Honors Chemistry this year and she was one of my most favorite teachers ever. She was always so nice, understanding, and patient with us, and I know she loved her AP Psychology classes as well. 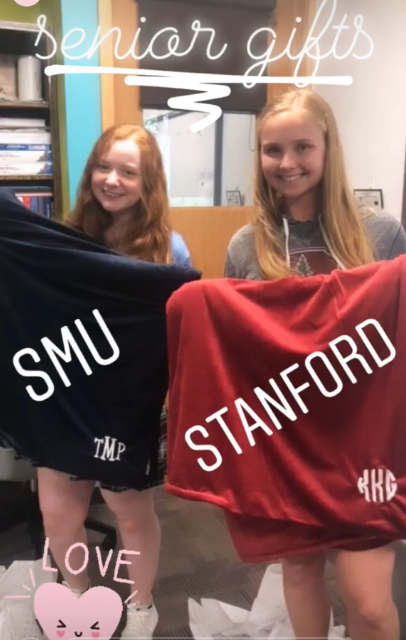 We had a small going away party for her this past Monday and were able to partake in some of the things she always does on the last day of school! 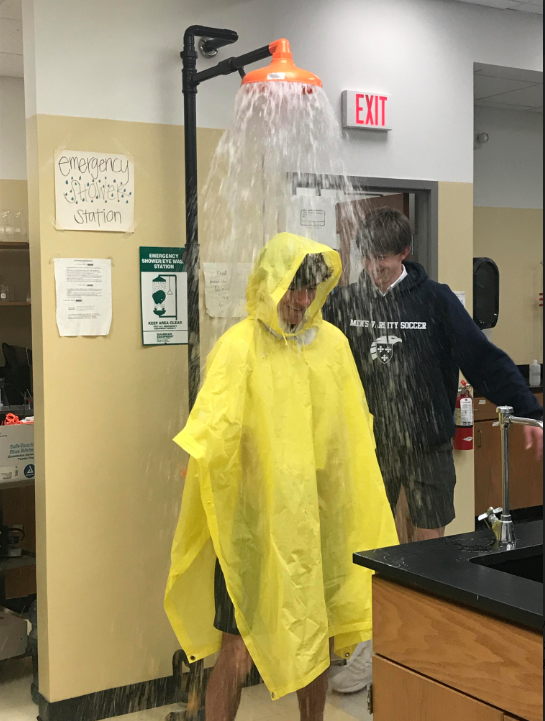 Students were able to stand under the emergency shower station, get soaked and have fun! We also ordered a couple of pizzas and made some cookies. We are going to miss Mrs. Henderson very much, but we are very glad she is able to have her life-saving surgery so she can be well again. We cannot wait to see her again in August and wish her a healthy, speedy recovery! 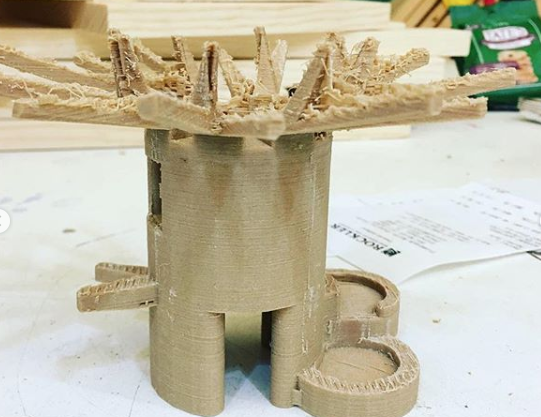 A huge thank you to Dane Larsen, Upper School Visual Arts teacher, for making great progress on the tree sculpture that will be an amazing part of the new Lower School building! 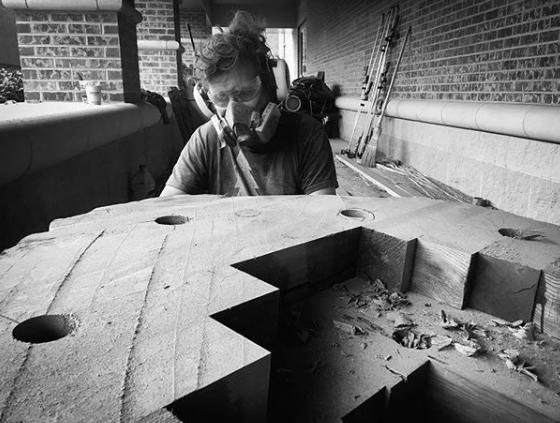 Included are some behind-the-scenes plans for the extraordinary structure. 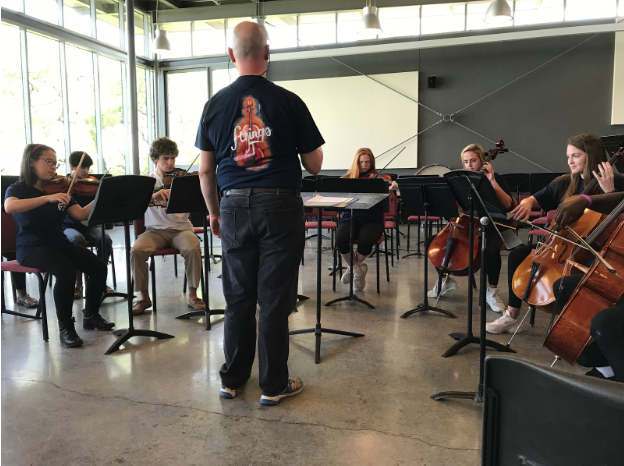 This is a group of ESD students performing at a Strings event. Dr. Demian is the Instrumental Music teacher and helped prepare students all year for a magnificent event! 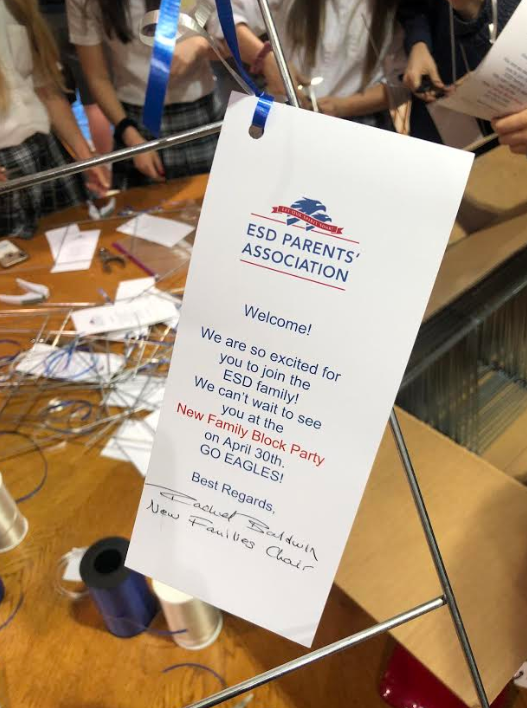 ESD Student Ambassadors loved assembling yard signs for families new to the ESD community this morning. I even remember how excited my family was to be able to put an ESD sign in our yard before coming to school here!